A clever concept, well crafted script and creative, crowd-pleasing kills help make “The Toybox” a highly satisfying and entertaining ride. The family dynamic between the characters is established early on. We’re introduced to the responsible, older brother with a family (Jeff Denton) and his wife (Denise Richards), the will-he-ever-grow-up younger brother (Brian Nagel), and the nostalgic-feeling father with a promise to keep (Greg Violand). It’s clear the family has baggage and has drifted apart. This simple set up is an effective way to make the horrific events that follow all the more tragic. Tom Nagel’s The Toybox is a really unique take on the slasher genre. 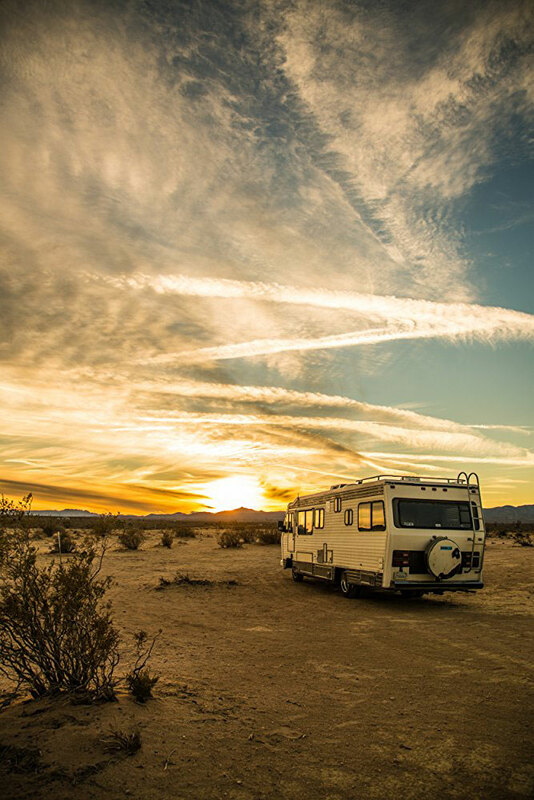 Not only does it have a cool supernatural element, but it also features a killer motor home and explores all the ways an RV can kill someone. The filmmakers had fun with this, and it shows. The deaths are creative and fun, with one eliciting a shared “OHHHHH!” from the audience I watched it with, followed by clapping. It was a great moment for the film and worked as a perfect example of why horror movies are best experienced with a crowd. The script, written by Jeff Denton, is smart and really makes the most of its location. It’s interesting how the wide open desert has an endless amount of land for the characters to run to in order to get away from the deadly motor home, but running also separates them from the only shelter they have from the hot desert sun. This adds a real sense of hopelessness and feeling lost. The bright hot sun also works to expose all, leaving no where left to hide from the evil that is after the doomed family. 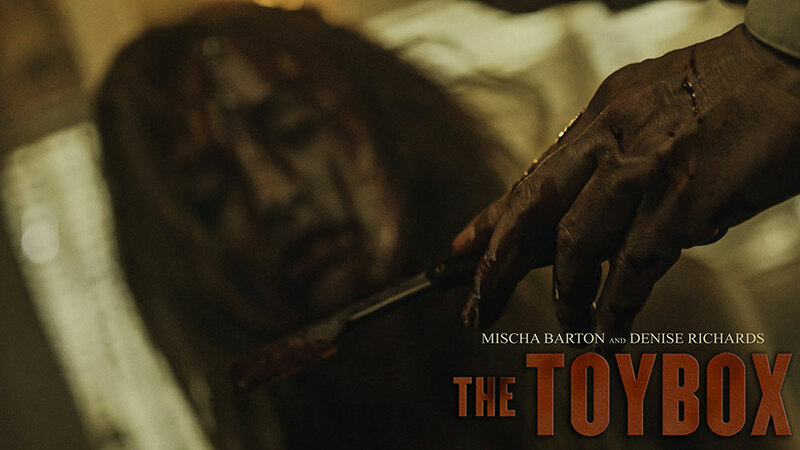 The Toybox works as a fine example of how location can add extra layers of terror to a horror film. Mischa Barton does excellent work as Samantha, giving an intense and focused performance. When the horrors of the haunted, murderous RV are at their peak, her portrayal of the terrorized Samantha reminded me of Dee Wallace in Cujo. Barton seems to have found a home in horror lately with a handful of her recent films being in the genre, and I for one welcome her with open arms and look forward to more performances like this one. My only complaint is that I wish the entire film felt as self aware and fast as the last act. There were a lot of funny, self referential moments that happened one after the other, cracking the audience up. While these moments happen throughout the film, they don’t happen nearly as quick and often as the last act when the audience was just eating it up. Keep an eye out for The Toybox to release this Fall. 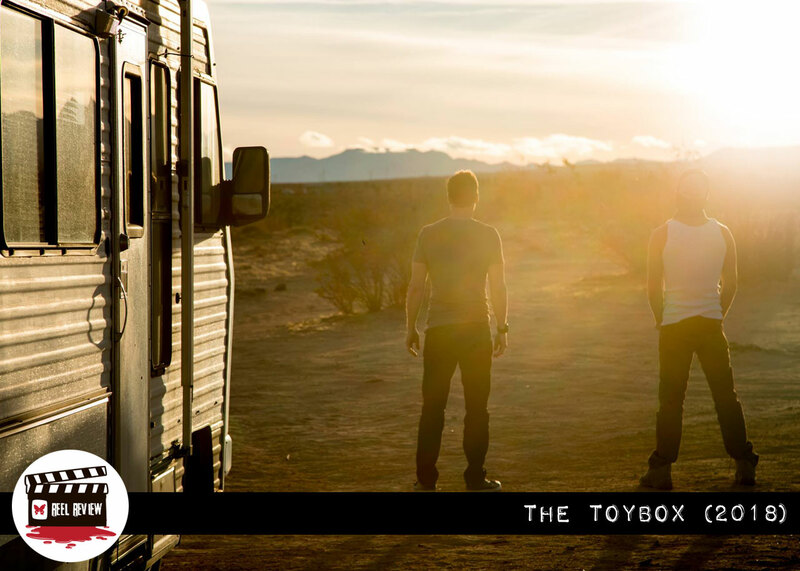 To keep up to date with the latest information, give them a follow on Facebook at @ToyBoxMovie.